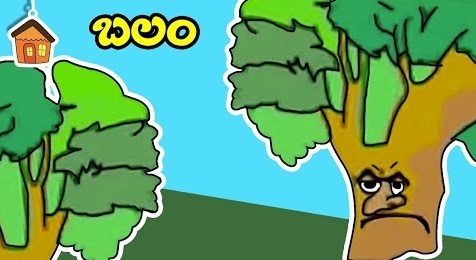 Moral Stories For Kids, Telugu Moral Cartoon Stories in HD, Balam in Bommarillu. Here is a nice moral story for your kids, some really good things you should learn in life. Once upon a time in a forest there was a neem and the bamboo tree. The neem tree is very strong and firm. The neem is feeling proud about its strength. The bamboo tree is very light in weight. The neem used to make fun of the bamboo because of its less strength. One day there is a huge storm in the forest. Watch the whole story to know who has the greater strength to withstand in the storm.